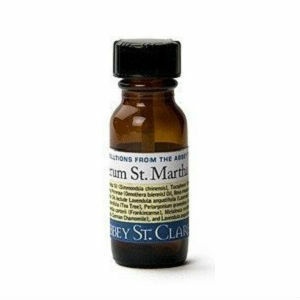 Serum St. Martha Natural Anti-fungal Nail is an anti-inflammatory serum use to treat nail fungus. Clean affected area. Apply a thing coat of serum over entire affected area. Apply up to three times daily for a minimum of three months. After clear, apply serum once daily to maintain nail health. On the official St. Martha website you can buy a one month supply for $33.97 for a half-ounce bottle. I found no mention of a Money-Back Guarantee for Serum St. Martha Natural Anti-fungal Nail Repair . Serum St. Martha Natural Anti-Fungal Nail Repair is an anti-inflammatory treatment for nail fungus. Due to its mild active ingredient, it is necessary to take for a minimum of three months and then at least once daily after that to maintain nail health. With a price tag of $33.97 for a half-ounce bottle and no money-back guarantee, Serum St. Martha Natural Anti-Fungal Nail Repair may be a pricy and ineffective solution. Jack Stevens	reviewed Serum St. Martha	on February 14th	 and gave it a rating of 3.